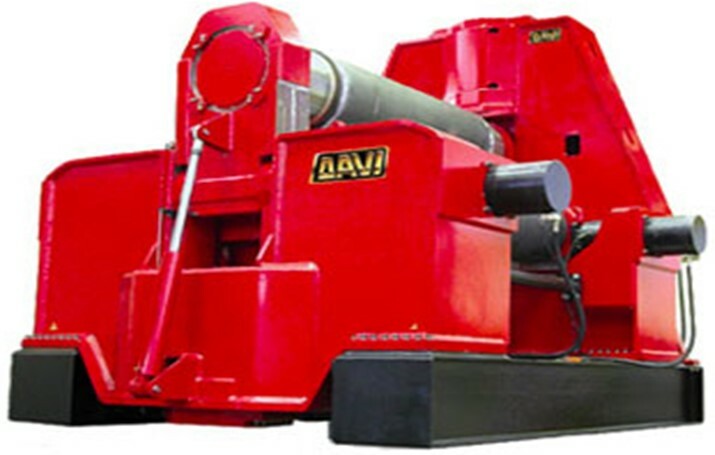 The MAV three roll machine is the most innovative ad revolutionary machine on the market. 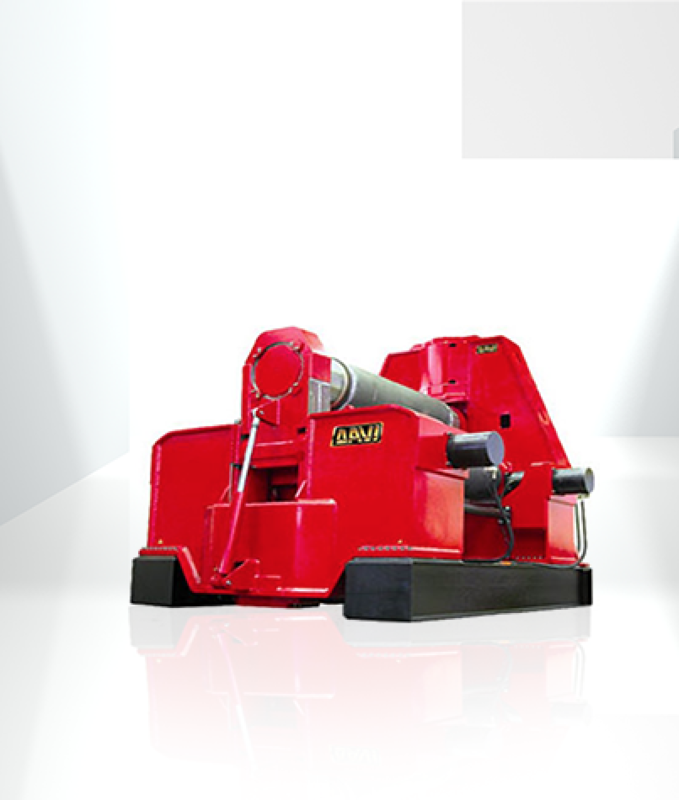 It is a rolling machine that has many advantages unavailable on any other three roll machine. The MAV with is "variable axis" is the simplest and easiest rolling machine to use. It works as a press in the pre-bending of the plate edges and it is in fact more widely known as the Press-Roll". Reducing the distance between the lower lateral rolls it is possible to obtain an excellent flat end, in fact the length of the flat end is the shorter than any other three roll machine. If the distance between the ateral rolls is increased, this allows very thick plates to be bent, thus increasing the capability of the machine considerably. - The only variable axis rolls with all 3 rolls driven as a standard feature (instead of driving only the top roll which makes working with thinner plate of narrow pieces more difficult). - It has 3 independent hydraulic motors and 3 coupled gearboxes as a standard feature directly coupled to the roll thus providing excellent plate transit independently from weight, thickness or material and practically eliminating the risk of slippage. The rolls are braked automatically by the gearboxes, much more effective than the drum brake mechanism used by other manufacturers. - The only variable axis rolls with the possibility to tilt considerably both the top and the lateral rolls to enable the machine to shape even the most inclined cone shapes. - Hydraulic peripheral speed compensation, technically superior compared to clutch-brake systems commonly used by other manufacturers. - All movements are completely hydraulically driver thus substituting obsolete manual or at best mechanical solutions adopted by other manufacturers.